A rare 1947 Dracula three sheet poster was one of the feature lots at Heritage Auctions Vintage Posters Auction. 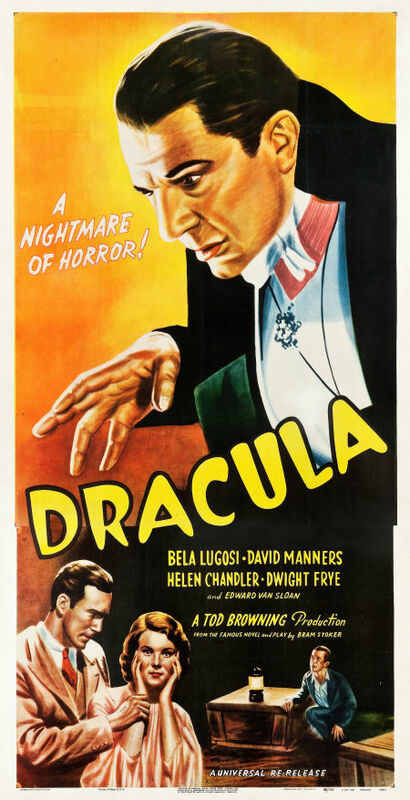 The Dracula (Universal, R-1947) three sheet (41.25″ X 79.5″) finally sold for $71,700. The poster is the only known copy for the 1947 reissue of the iconic Universal horror classic starring Bela Lugosi! Because of the popularity and the huge money making potential of the film released in 1931, Universal Studios reissued it in 1938 and again in 1947. All of the posters for this second re-release of the film have always been extremely scarce and most collectors have never seen this poster before now as its existence was only rumored for many years. This poster has careful restoration, including touchup to the folds and borders, which has given the poster a like-new appearance.